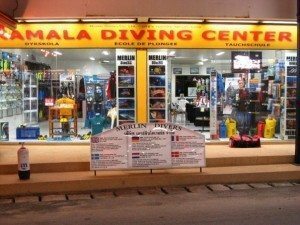 Welcome to our Dive Shop! Merlin Divers is proud to offer one of the best water sports, sports wear and diving equipment retail stores in all of Phuket. Merlin Divers is an official dealer and partner dive center of Aqua Lung diving and snorkelling equipment and Suunto dive computers. The show room of nearly 100 square meters displays products for all holiday makers on Phuket . There are beach shoes, Lycra shirts, waterproof dry bags, underwater cameras, waterproof telephone and iPod pouches, bags for snorkelling diving gear and many more articles. For snorkelers there are many different styles of masks, snorkels and fins. Also for the “little” ones – there are all the sports products and wears in children sizes. For divers there is even more – wetsuits, dive computers, buoyancy control devices, regulators and of course masks, snorkels and fins – from the old best-sellers to the newest models. Divers will also find all the little extras they like so much – small and big dive torches, octopus holders, all sorts of lanyards, clips and slates and many more accessories. If divers need any spare parts, Merlin Divers has them too. 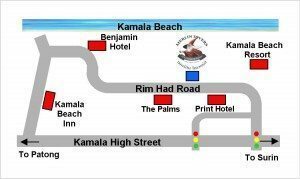 Also to rent Diving Equipment is available. The diving school is under Swiss management operated by Robert Klein as the managing director. Robert has worked for over 20 years in the diving industry in Thailand – Phuket. Robert took over Merlin Divers in 2005 and since then has constantly improved and expanded. Merlin Divers believes it is important to provide a comprehensive range of products and serious services. Quality in combination with good service are foremost in mind to satisfy the customers; be it for snorkelling, diving or just enjoying the beach on Phuket – Thailand!